Warning: This story may contain SPOILERS for Star Wars Episode VII: The Force Awakens, read on at your own risk! Our friends over at MakingStarWars.net have picked up on a very interesting new rumor about Star Wars Episode VII: The Force Awakens. 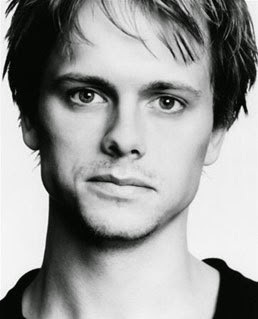 They have heard from one their sources that actor Robert Boulter has been cast to play a young Luke Skywalker in flashback scenes in The Force Awakens. They also suggest that Boulter will be playing Luke in scenes that take place in the time between the events of Return of the Jedi and The Force Awakens. This does line up with the rumors they posted recently about the flashbacks which would feature Luke in that time frame. I will say that Boulter does have a good look for a young-but-older-than-he-was-when-we-last-saw-him Luke. As always, this is just a rumor until confirmed or denied by Lucasfilm or Disney. From what I've heard from my sources, the entire movie is a series of flashbacks designed so that every actor with a passing resemblance to the main characters gets some screen time. There's even a scene where they flash back to the week before so Chris Pratt can play Han Solo. What a mess this is all beginning to sound. Too many characters, in a variety of ages ... and they baulked at adding one extra bad guy to Spider Man 3. Not to be too negative, but please no. Can't they just CGI the characters to look a tiny bit younger a la the new terminator? I don't want this to be like X-Men where we have a whole separate "Younger version" cast separate from the original cast that will no doubt lead to some prequel spin-off with Chris pratt, Robert Boulter and Billie Lourd playing our 3 main heroes. After 30 years we have had enough PREQUELS and stories from the PAST, lets forget about flashbacks and just move forward with the story. That said, if its for a 30 second shot and they make him look enough like Hamill, then fine. Just don't replace the original cast before they even get their last time together on screen. Starting to feel more like Lost than Star Wars with all these flashbacks. They are trying way too hard to link the films together. I hope this isn't true.